My 8 year old really likes Pokemon. Which kind of blows me away since I remember in elementary school when Pokemon came out and the world went crazy. I personally was not into Pokemon but apparently my In-Laws were. So it is fun to see them talk Pokemon and share their Pokemon cards. So for this Pokemon Valentine I kept it simple. 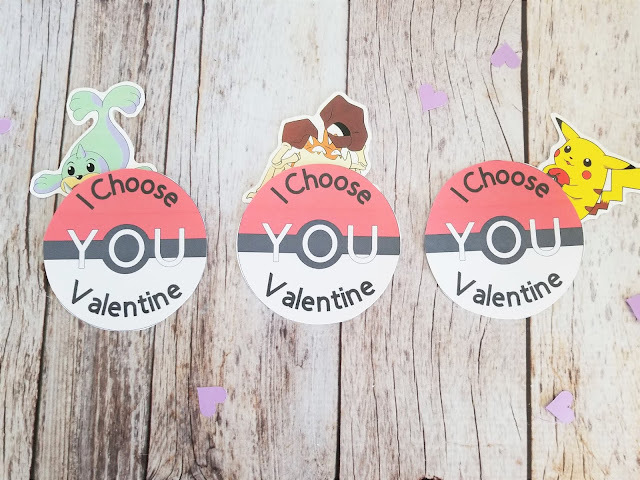 Just a Pokeball with "I Choose You Valentine" on the front. 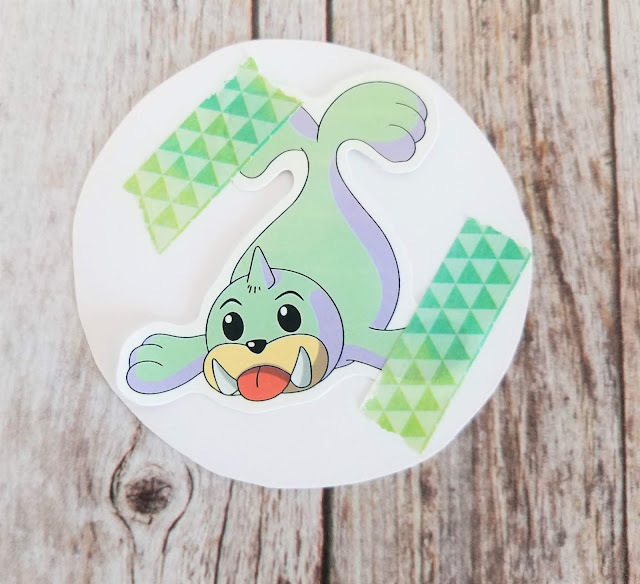 But it was a little plain so I found these awesome Large Pokemon Stickers on Amazon. It is a pack of 50 stickers for $7. Which is a steal since he already has to hand out about 40 or so Valentine's this year. Plus, he can pick a few of his favorites to keep. The fun part is now my son can go through all the stickers and pick a different sticker for each of his classmates. 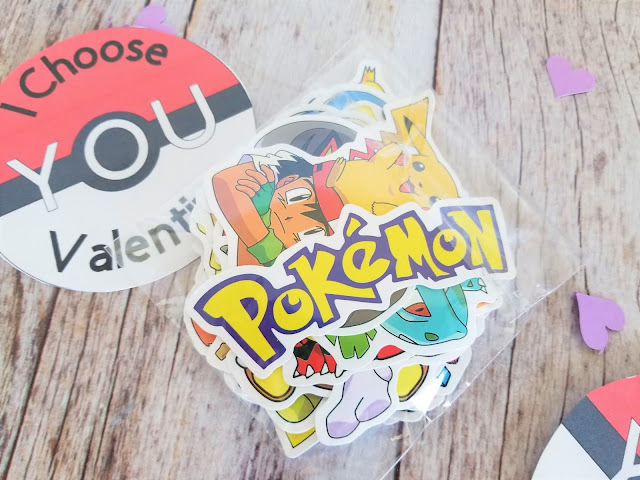 So those kids that are into Pokemon like him, he can give them a sticker they like. All we are going to do is have him write To/From on the back and use some Washi Tape to stick the sticker on. These stickers are each between 2 and 4". 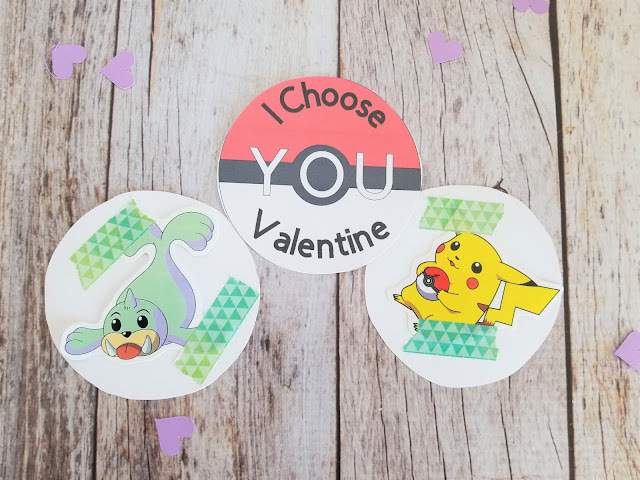 They fit very nicely on the back of the Pokemon Valentine cards. 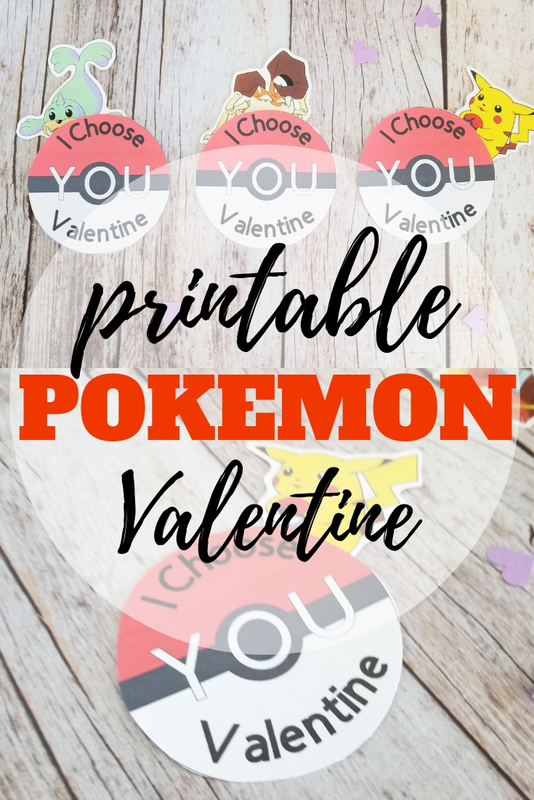 And since this is a freebie, you can download the Valentine's and make your own. You don't even have to worry about the cool stickers. Still need some other printable Valentines? Check out our Unicorn Valentines or our Ladybugs and Penguin Valentines.